The Aurora City Pool in use today was completed in the mid-1960s. Could a new, indoor public pool soon replace it? Photo provided. (Aurora, Ind.) – Imagine splashing into 80 degree water in the dead of a southeast Indiana winter. It could happen if the City of Aurora chooses to build a nearly $5 million indoor swimming pool. The City of Aurora’s current outdoor swimming pool was built in the mid-1960’s. 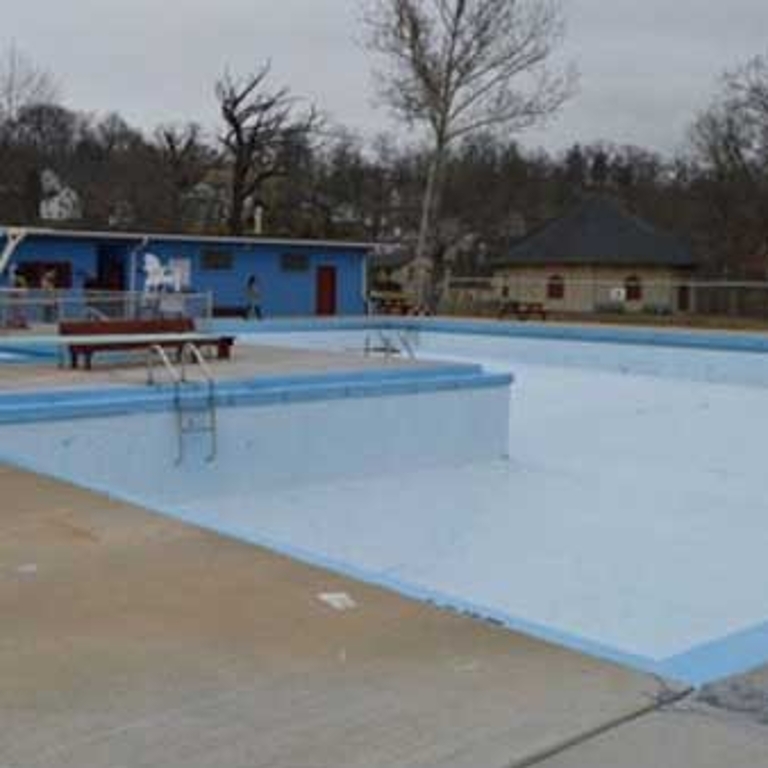 After nearly six decades of use, the pool is outdated, in need of repairs, and doesn’t offer the amenities that newer pools – like those in Lawrenceburg, Greendale, Rising Sun – have. In January, the city solicited an Indiana University’s School of Public and Environmental Affairs capstone class to complete a feasibility study for the construction of an indoor aquatic center. The new public pool would be attached to the Aurora Recreation Community Center. The feasibility study showed that it could cost around $538,000 to repair and renovate the outdoor pool, which is open for about nine weeks during the summer and costs about $32,000 annually to maintain. A new indoor aquatic center would be open year-round and could eliminate the need for an outdoor pool entirely. However, the new indoor aquatic health center could cost approximately $4.9 million. The class’ report also recommended that the current outdoor pool be closed and replaced with a city owned and operated skate park. READ THE IU CLASS’ FEASIBILITY STUDY FOR AN INDOOR AQUATIC CENTER HERE (PDF) AND A FACT SHEET HERE (PDF). Aurora City Manager Guinevere Emery says she is a fan of the possibility of a new indoor facility. “From a regional perspective the Indoor Aquatic Health Center attached to the Aurora Recreation Community Center has the potential to impact over 9 Cities, Towns, Counties and Townships. Quality of place, economic development, population retainment, annual access to a recreational outlet and more positive outcomes will be elevated with this opportunity,” Emery says. The feasibility study showed that funding options could come from grants, selling naming rights, reserving a percentage of gaming funds annually, or debt financing. Other potential revenue sources include competition entry fees for high school level swimming teams, concession stands, water aerobics classes, swim lessons, physical therapy, and leases with local high schools for practice spaces. The Aurora Recreation Community Center could provide a new membership cost structure that is on par with the amenities they will be providing. It is not known at this time how long construction will take if the project is approved.